On Saturday, May 12, the MAI Board held our annual meeting at the Awana Headquarters in Chicagoland. The evening’s schedule called for a relaxed time as we said goodbye to departing member Keila Ochoa Harris and welcomed incoming member Jay Link. What MAI President John Maust did not know is that we had planned a surprise party for him. The Saturday-evening program usually ends with dessert in the dining room. But this time each of the board members slipped away, apple pie in hand, and returned to our conference room. Finally John came in looking a bit puzzled. I suggested that he fasten his seat belt because we were set to honor him for 20 years as president of MAI. John, we met when I was in my twenties. Bob Reekie and you went to Mexico to a writers’ workshop, and we went out for lunch to a veggie restaurant. I don’t think the food was very good, but the conversation was superb. You encouraged me with my writing, and you have ever since. One other thing I’ll never forget is your visit to Orizaba after Ibrahim was born. You were in a workshop in Mexico City and didn’t have to take that four-hour trip just to visit, but you did! Thank you for your long-lasting friendship to me and my family, and for your constant encouragement to pursue fiction in the Spanish-speaking world. This was a moving and wonderful experience! Everyone who knows John has observed that he works hard to make everything work for others while keeping a low profile himself. 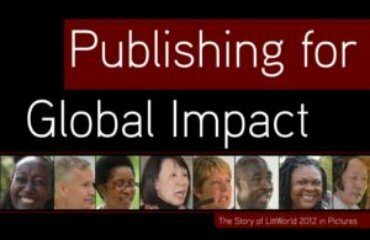 As we read, we recognized we were just 15 of what could be hundreds of people expressing appreciation to John for his effective work in carrying out MAI’s mission to encourage writers and publishers around the world. 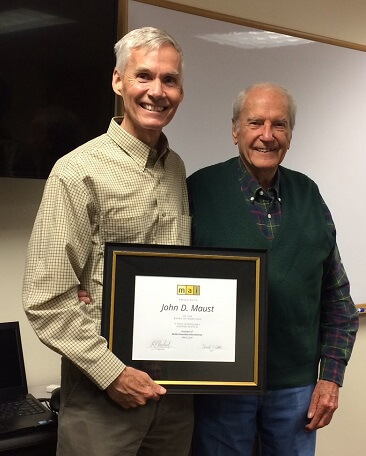 After everyone had spoken, we presented to John a framed certificate and captured this photo of John with MAI’s founding president, Bob Reekie. Proverbs 31 continued, as found in Bonnie’s MAI documents . . .
32 A man of noble character, who can find? His worth cannot be measured in dollars. 33 His board has full confidence in him, his giftedness, and his leadership abilities. 34 His staff are blessed to receive his support and encouragement as part of his team. 35 His craft of journalism is a wordsmithing wonder as he plans, answers emails, creates grant proposals, writes articles, posts social media . . . and the list goes on. 36 His vision reaches beyond local to global. 37 He is always kind and good-natured, and his sense of humor never fails. 38 In some LittWorld circles he is fondly known as The Gentle Giant. 39 He is a loving and devoted family man. 40 He is a humble, godly man of prayer. 41 He is described by many “C” words: considerate, caring, coffee-lover and cinnamon-roll connoisseur. 42 Many are the verses that could yet be written. 43 But I, Bonnie, am so blessed to call John boss. 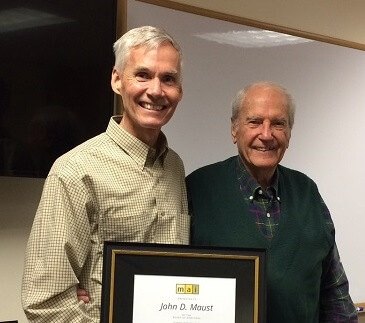 Please join us in honoring John Maust, MAI’s president and effective leader for 20 years. Your comments are welcome below. 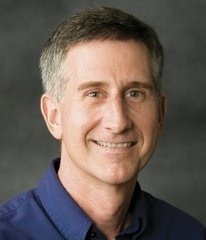 Dan Elliott is editorial director at Tyndale House Publishers, located near Chicago, US. Tyndale publishes the New Living Translation of the Bible and an array of study Bibles and books for adults, youth and children. Dan supervises the editors who handle the post-acquisition editorial development of Tyndale’s products. He has worked in the Editorial department for 30+ years as a proofreader, editor and editorial manager. Dan grew up in Guatemala, where his parents were missionaries for 48 years. 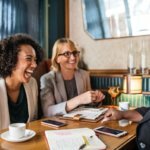 Every Publisher Needs a Business Plan — All the Time! 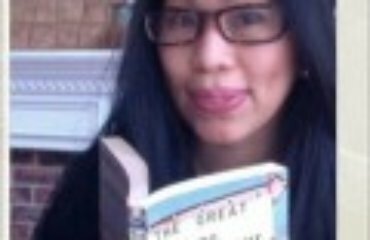 I first heard of MAI and John after my first book, Gifts of Grace, was published by OMF Lit, Philippines. I was told that John had read it and that he had good words about it. For a newbie like me, hearing from the President of MAI was a wow! It was more than a pat on the back; it was an affirmation that I was on the right path. That was 17 years ago, and I continue to write about God’s grace. Thank you, John, for emboldening people to do what they do in proclaiming the good news through literature. I’ve known and worked with John for many years. I have seen the good results of his ministry. There are writers and publications all around the world indebted to John for his faithful help and support. May God bless him and his team in the years ahead. Enthusiastic group is right! That was a high-energy week, with so many participants who have continued to do high-quality work in Asia. Wow— 20 years! I remember when John took Bob’s place like it was yesterday. The time has surely flown. And, yes, he is definitely a gentle leader. I’d like to be John Maust when I grow up. Congratulations, brother! I was a college senior who knew nothing except that I wanted to somehow work with Spanish publishing. I had zero skills to offer, but John kindly received me as an intern at MAI and started laying the groundwork for knowledge of many worlds: publishing in general, the history of Christian missions, finances outside the US, the church’s involvement worldwide in the printed word, etc. Our paths have crossed several times since, both personally when we’ve had the chance to get to know each others’ families, and professionally as I continue to run into people somehow connected with MAI. I will always be grateful for my internship with MAI some 15 years ago and John’s patient mentoring. Congratulations to John for this 20th anniversary as MAI president, and to all the staff for having him as a leader! 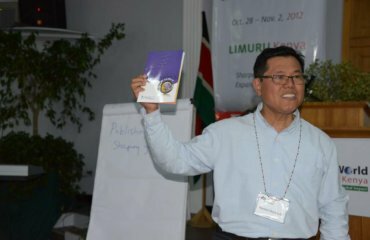 I met John 6 years ago through e-mail when submitting my application for attending Littworld Kenya 2012, I was so nervous everytime I had a message from “MAI´s President”..but meeting John in person was a wonderful surprise as he is humble, has a great sense of humor and very easy going, I admire him, his leadership and work. Praising God for these testimonies to how God has used you around the world through the years. I wrote this on Facebook and will repeat iut here: Thanks so much, John, for your inspirational servant leadership; for your passion to find, recognise, train and resource those whose gifts might otherwise never flourish; for embodying Colossians 3:12 in your many relationships with people from a vast array of cultures and countries; and for your vision, perseverance and faithfulness to God’s call to lead the MAI family. We are all far better writers, editors, publishers and people because of you – you are much appreciated. I had the honor of meeting John Maust at LittWorld 2012 in Kenya. The first day at Brackenhurst, I was having some stomach pain and I asked John where I could find the pharmacy. He not only showed me the way, but went with me, made sure I got the right treatment and paid for me. I am grateful to God for John and all the MAI staff. God bless you more. Yes, John you are a humble and inspiring leader. MAI would not be what it is today without you. I feel privileged to know you not only as leader but also as friend. Congratulations, John, on 20 years of faithful, courageous service to Christ through the ministry of MAI! Wish I could have added my voice with a tribute last week as a former Board member. King Solomon wrote in Proverbs 21:21, “Whoever pursues godliness and unfailing love will find life, godliness, and honor.” What an apt description of you and your service to our Lord. Glory to God for your services in His vineyard. I wish you more fruitful years of meaningful leadership. You deserve this tribute. Your patience and focus for MAI to excel are remarkable. May the Lord continue to grant you strength and good health to continue what you are doing so well to bless us all! More is waiting for you in front of the throne of our Lord. I am so grateful for your life, John. Not only for your training skills: MAI has proved essential to my preparation. You are so kind, so humble, so encouraging… I always commend your assistance whatever ‘editing-travelling-meeting people’ needs appeared along my way these twenty years. Your family is as kind and graceful as you are. God bless you and keep blessing us through your job. Omar joins me. And my regards to Bob Reekie (I agree with Pat Alexander!). I am in the way that God lead me. And it is because you listened to my story and pray for me. (Please see my personal e-mail to you). Thank you for your precious dedication, John. It is a privilige to know you. I heard about you when I was in Africa. Back then I had no idea I would one day meet you here in the US. When I came to the US in 2009, I had an opportunity to visit the MAI office in Illinois. I met you and your family, and the friendly MAI staff for the first time. Since then, you’ve been a great encouragement for me. You played an important role in the publishing of my book “God, Where are You?” and I’m grateful. John, I’ll never forget when you came to visit me to Johnson City, Tennessee in August 2017. Your presence in that period of my life was uplifting.